Smartphones and tablets are filled with personal information, and the only barrier between the public and your data is a skimpy four-digit passcode. While enabling complex passwords and limiting the number of entry attempts are your best security bet for the moment, the introduction of fingerprint scanners and randomized keyboards have the potential to make your iPhone even more secure going forward. A jailbreak tweak called CodeScrambler has recently hit the Cydia store, and for $0.99, it will randomize your on-screen keyboard to prevent onlookers from memorizing your password by sight. While jailbreaking your iOS device potentially opens it up to even worse security vulnerabilities, this is a clever method of boosting real-world security that Apple should consider implementing. 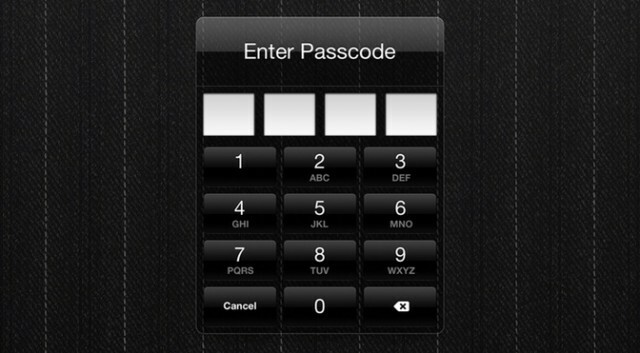 Having this option available as a toggle in iOS would make entering your passcode take longer, but the increased security is hard to dispute. With touch-based devices, on-screen smudges can theoretically reveal which digits you use in your passcode. If your smudges reveal which four unique digits you’re using a thief would only have to go through just 24 combinations to find the right one. If you only use three unique digits in a four-digit code, the math shows that the number of combinations increases to 36. It’s better protection, but far from ideal since you’re still potentially giving away vital information to anyone who handles your device. If the keyboard was able to randomize every time, your screen smudges simply wouldn’t be able to reveal which digits you’re using in your passcode, and that makes even simple passcodes more secure. While your fingers betray your security with on-screen keyboards, your fingerprint might also be the key to improving your mobile security going forward. Previously, biometric sensing information was leaked in an iOS 7 beta, but now even more evidence has surfaced concerning fingerprint sensing on the iPhone 5S. Back in July of last year, Apple acquired AuthenTec — a hardware and software company focused on PC and mobile security. Now, it seems as if that $356 million purchase is starting to pay off with actual hardware improvements. This week, French rumor site Nowhereelse.fr reported that new iPhone 5S parts have been uncovered that show off the potential for a built-in fingerprint reader. 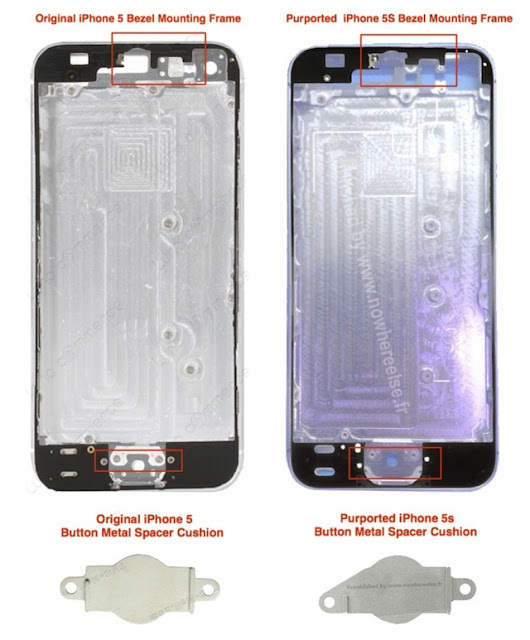 The area under the home button is slightly redesigned, and the spacer plate (shown above) is cut very differently. These leaks are far from official confirmation of a built-in fingerprint scanner for the next iPhone, but it does add credence to the rumors behind the long-awaited feature.